Could Google adopt the notch? Recap: Earlier this month, the OnePlus 6 became the latest in a line of Android handsets to arrive with an iPhone X-style notch. It seems that the cutouts are making their into a number of phones, but could Google’s next Pixels be added to the list? If a leaked image is to be believed, it seems the answer is yes—but only on the Pixel 3 XL. The photo appeared on Weibo but has since been deleted, though SlashLeaks managed to grab the original picture. 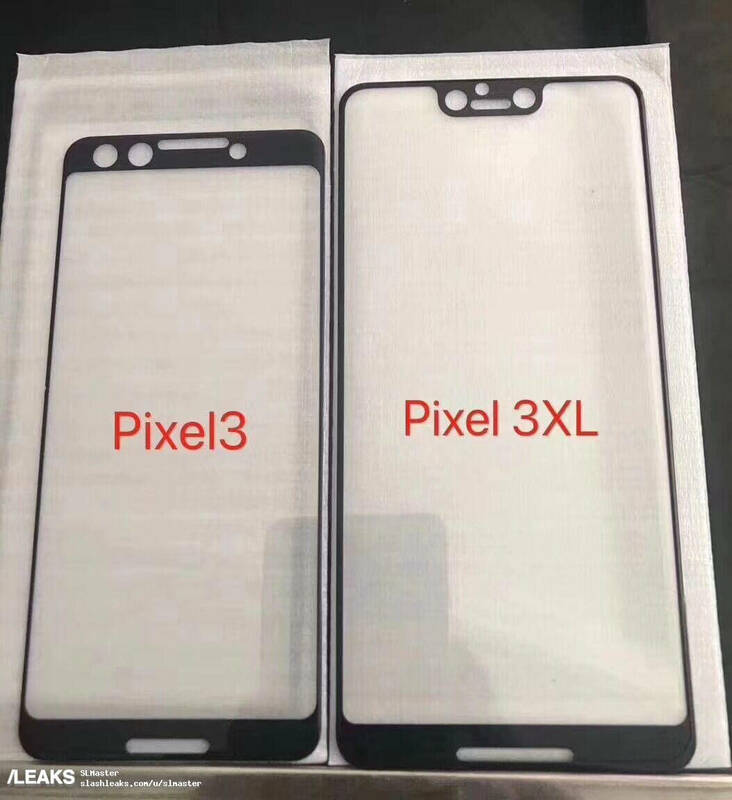 It purportedly shows tempered glass screen protectors for the Pixel 3 and Pixel 3 XL. While there are question marks over its authenticity, it could be the first indication that the Pixel 3 XL will have a notch. The oval-shaped cutouts suggest that both phones will come with front-facing speakers. It could also be that the handsets will feature dual front-facing cameras, though one might be for another type of sensor—Google could be following Apple by adding facial recognition tech. It also seems that Google is imitating most manufacturers by reducing the size of the phones’ bezels, which appear noticeably smaller than those found on their predecessors. As with previous Pixels, it’s expected that both handsets will have similar specs, with the main differences being the screen and battery sizes. Creating one Pixel with the notch and one without could be a best-of-both-worlds solution in Google’s eyes, offering something for both lovers and haters of the notch. But anyone who’s in the latter camp and prefers the larger version of the Pixel looks to be out of luck. To reiterate, we can’t be certain that the image isn’t a hoax. However, with more Android manufacturers adopting the notch and the fact that Android P supports the design feature natively, it’s not beyond the realms of possibility that Google will go down this route.